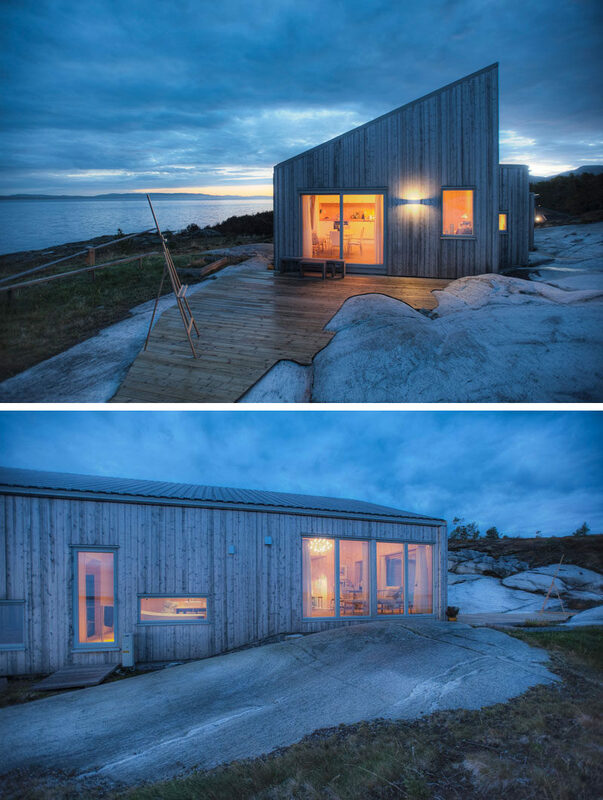 TYIN Tegnestue Architects have designed this small 645 square foot (60sqm) cabin that sits on top of rocks by the sea in Møre og Romsdal, Norway. 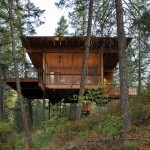 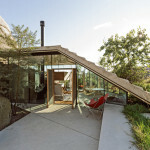 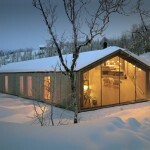 The cabin was designed to fit in with the surroundings and to avoid interfering with the sensitive terrain. 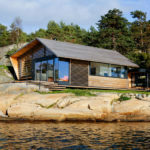 The cabin, which was mostly constructed by the owners, features an open living, dining and kitchen area with lots of windows to let natural light in and to take advantage of the water views. 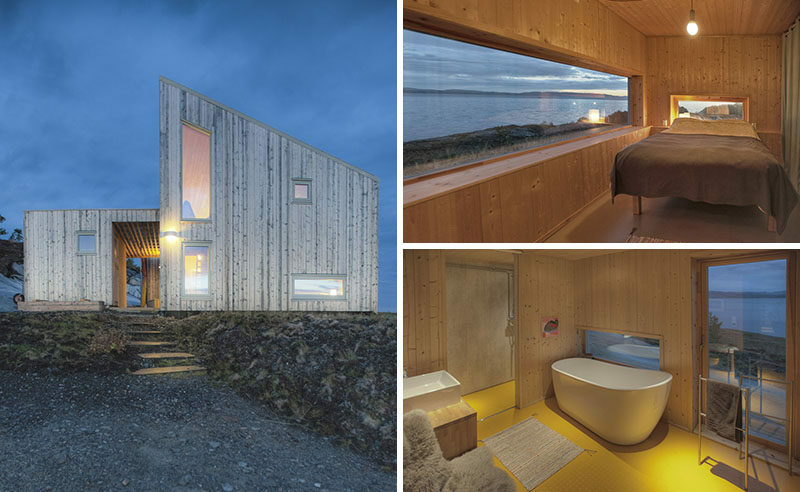 Behind the kitchen is the bathroom, with a standalone bathtub with a window perfectly positioned for views while relaxing. 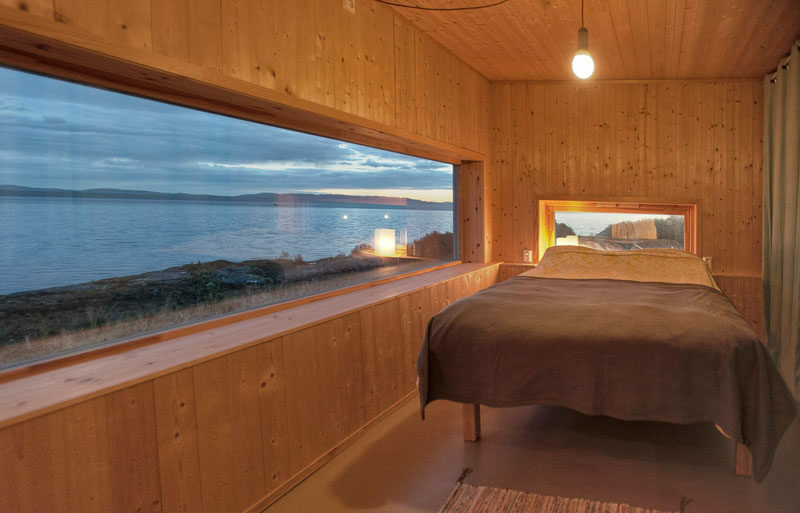 There isn’t a space in the cabin that doesn’t have views, like in the bedroom that’s just off the bathroom. 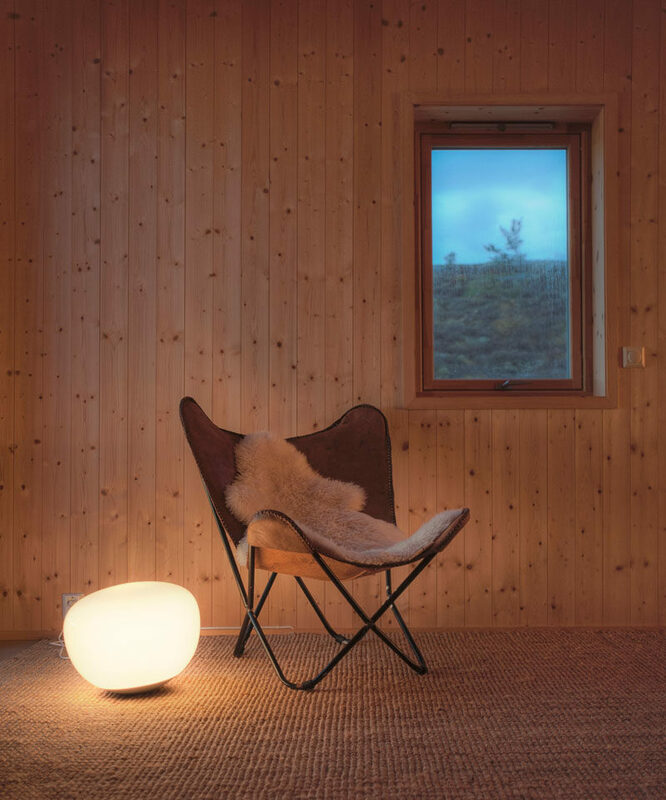 Simple wood walls have been used throughout to tie in with the nature outside.